historical firearms, such as matchlocks and flintlock guns. Each entry does not only give a linguistic analysis, it also gives complete historical information on each term. 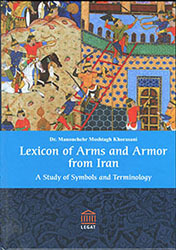 Besides, the book includes a catalogue of Persian weapons and armor out of 60 exclusive items.